Happy Monday to all our wonderful readers. Over the weekend, someone had shared with me a story that totally grossed me out. As a reporter for the Team Santa Inc. News Daily, I felt compelled to continue to share this information with you. If you wish to share, please do. This Christmas tree infesting bug found in New Jersey could lay eggs in your house. Lantern fly threatens NJ trees and fruit crops New Jersey officials will begin looking for egg masses this autumn to see if the spotted lantern fly has come into the state from Pennsylvania. Remember a while back when we told you about the spotted lantern fly, a tree-destroying pest that has been found in multiple New Jersey counties? ‎Well, it turns out these bugs could end up making everyone’s Christmas a whole lot less merry, according to a report from NJ.com. 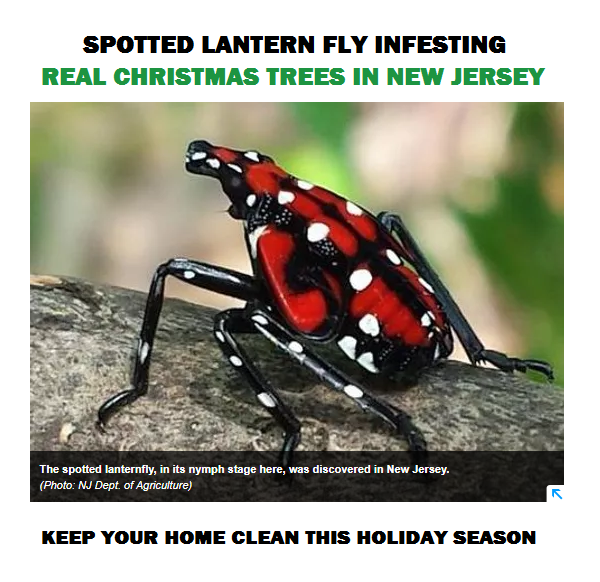 New Jersey agriculture experts say that the spotted lantern fly latches on to multiple kinds of trees, including many types of pine trees, and that could cause a rapid spread of the species this Christmas season, the report says – “As such, they’re warning folks all over the state to take extra care in choosing the tree they chose to decorate their homes with this upcoming Christmas season”. And as if potentially causing the spread of this tree-destroying pest wasn’t scary enough, experts also warn that once in your home, the spotted lantern fly could lay eggs and spread even more rapidly, according to the report. So far, the spotted lantern fly has been found in Warren, Hunterdon and Mercer counties, so if those are your go-to spots for Christmas trees…beware. If you do find yourself with these bugs, call the Department of Agriculture on their hotline number — 833-BADBUG-0 (833-223-2840). ‎ The information above was sourced from NorthJersey.com. A happy Monday to you. I hope that everyone enjoys a wonderful week ahead. Today, let’s talk about Big artificial Christmas trees. Businesses, non-profits, religious groups, theaters, museums, community crews, etc. 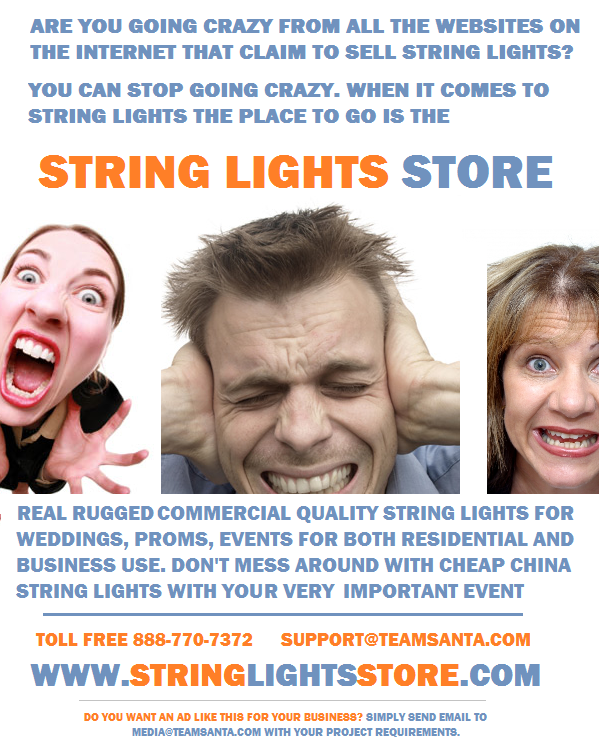 are all realizing that now is the time to begin planning your holiday tree lighting. Order a big tree at a Team Santa Inc. web store and you will be pleased to learn that your order will be handled by an experienced representative. A person who has been selling large artificial Christmas trees for over 50 years. A knowledgeable representative ready to answer all your questions intelligently and professionally. Our mission is to impress our customers. You can tell us whether we do or not. Come one, come all, experience the Team Santa Inc. Giant Artificial Christmas Tree selection?. 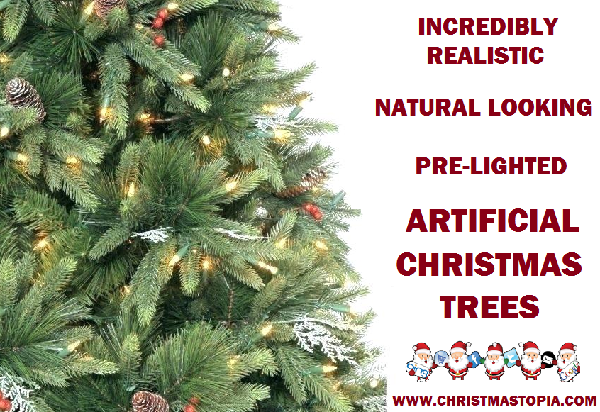 A wonderful selection of high quality large Christmas trees at the lowest prices anywhere. 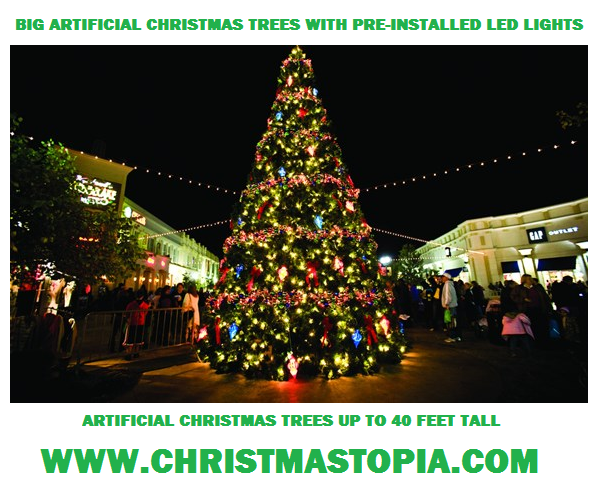 All large Christmas trees are entitled to FREE shipping inside the continental USA. If you don’t like the price of the tree, just ask us to lower it. 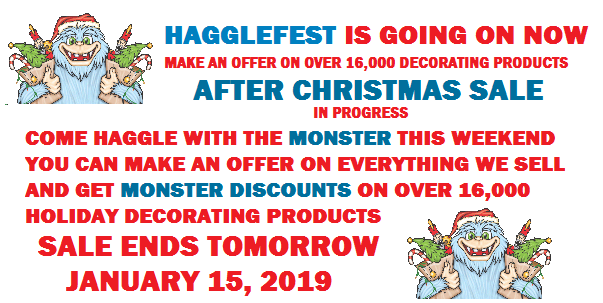 I hope that you enjoy the selection and if you do happen to place an order, know that we sincerely appreciate your business. Until the next time.. When it’s time to setup and begin decorating, simply take the product from its shipping carton and hang it up. That’s all there is to it. You can also use the item indoors, because the mini LED bulbs do not get warm. Great for all kinds of indoor visual displays. Use it in a store, bar, pub, restaurant, bistro, etc. 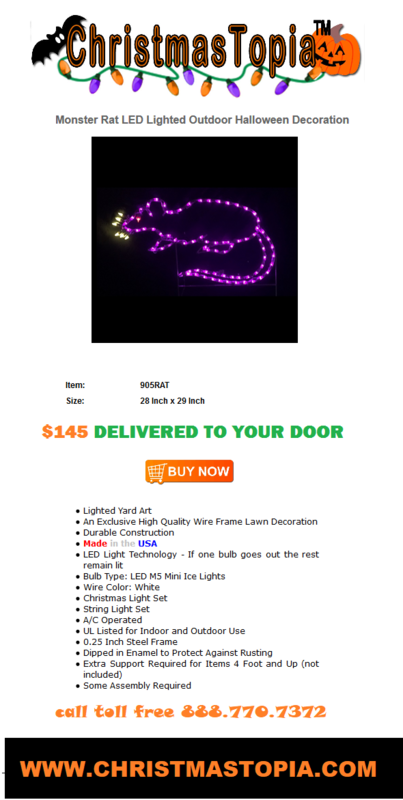 Some people also post these Halloween decorations in the dirt outside their home or business.‎ This high quality product has stakes for outdoor ground installation. 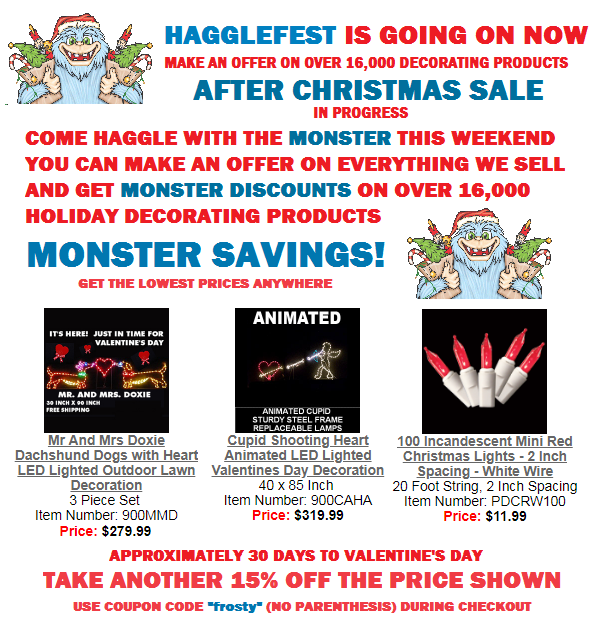 Additionally, all our Halloween lite up decorations are for indoor/outdoor use. 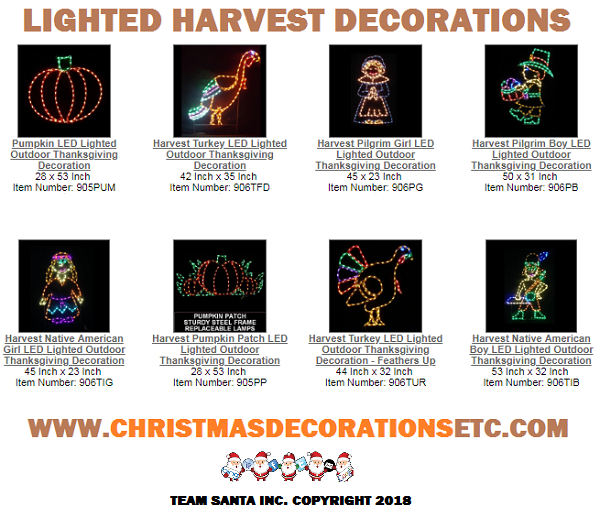 ‎Our lighted Halloween decorations are quite colorful and so wonderfully hand crafted that they create a absolute, stunning, visual impact on whoever encounters the decorations. The lighted decorations we sell for Halloween are light weight and and made from sturdy white powder coated steel. 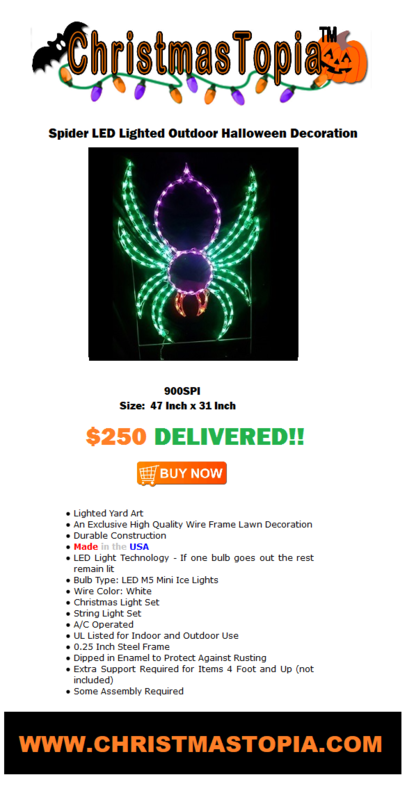 Incredibly, these Halloween Lite Up decorations also ship FREE via FEDEX ground inside the continental USA. We ask that you please allow approximately 5 to 7 days for delivery. All priority orders please contact support@teamsanta.com with the details of your order and we will arrange priority shipping (not included in the price) for you. Whatever it takes to get you to the Team Santa Inc. website is totally cool. 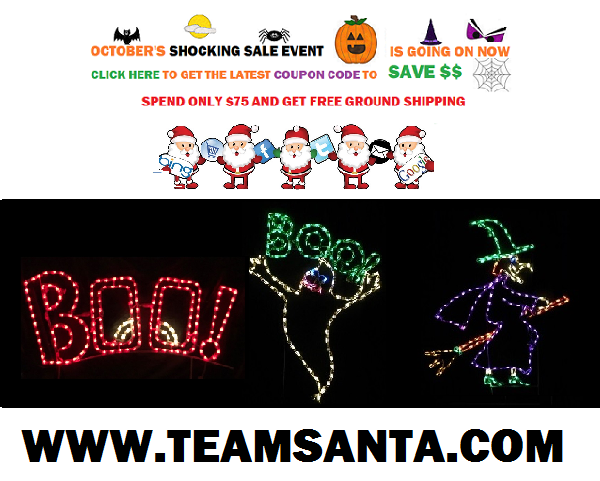 Please come by and take a look at the large selection of lighted Halloween decorations for sale.‎ Well, I have to go.‎ Until next time..